Tony Allen & Motor City Drum Ensemble - Dekmantel 10 Years 10.2. Vinyl 12. Bleep. Monolithic party organisation Dekmantel finish up their ten-year anniversary series with this unexpected collaboration between Tony Allen and Motor City Drum Ensemble. Those with a close eye on the label will note that this series finale follows on from a Villalobos remix of the same track. On MCDE’s version we have a thick dub influence that treads the same path as those amazing Mark Ernestus remixes of Tony Allen from years back. MCDE beefs up the original for maximum soundsystem vibes. 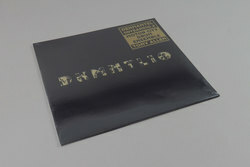 One of the better Dekmantel records we’ve heard recently. Play it loud!